Ifemelu grew up in Lagos, then moved to USA, the land of opportunities, when she got a scholarship and a visa. Her boyfriend of many years, Obinze, will join her once he is able to get a visa. But starting a new life in USA is hard, and especially when no one will hire you. When she is no longer able to pay rent she sees no other way out than take the position she was offered as a personal relaxer, which turned out to be the almost the same as selling her body. Loathing herself, she breaks off all contact with Obinze and sinks into a depression. But USA is really the land of opportunity, and she is lucky to find a job as a baby sitter for a fantastic family. She has also started an anonymous blog about being a Non-American Black and all the discrimination and racism that still are very present in USA. The blog takes off, the studies are going well and she meets some amazing people. And then one day, out of the blue, she makes the decision to go back home to Lagos. A candidate for the book of the year? At least I think so. I loved every sentence of the book and Ifemelu is such an amazing character. I loved how I got utterly lost in her world and it was so easy to picture the scenes. It is also an important book as it deals with the issues of identity and race, while painting a new and a more positive picture of Nigeria. Which is necessary, because when did you last hear something positive about Nigerians and Nigeria? It is definitely the best book by Chimamanda so far. Read it! Kambili never speaks unless she’s spoken to and never smile. Her father is a rich man and a devoted Catholic is admired by everyone. Yet he punishes his family when they aren’t number one in class and when they sin. The biggest sin is to eat at their grandfather’s house, the heathen. He beats his wife so severely that she miscarries. Kambili and Jaja’s rescue is their aunt, their father’s sister, and her small house full of love and laughter. 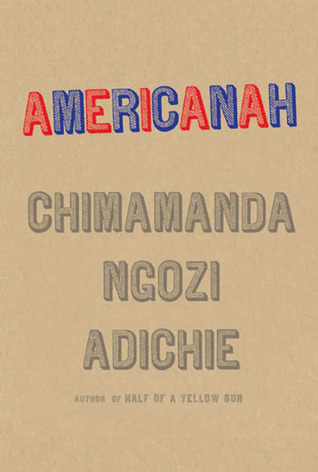 Another beautiful book by Adichie that I could not put down. It is sad yet very hopeful. It is set in Nigeria, mainly in the university town Nsukka, which also played a major role in Half of a Yellow Sun. The coups and corruption is also part of the background of this book. Needless to say that I loved it. I’m definitely going to teach this book to the right class someday. Nigeria, 1960s. A young boy, Ugwu, is sent to the city to work as a houseboy for an academic. The academic often has friends over who talk about how African nations should kick out the colonisers and become republics. Olanna is the daughter of rich parents, she got her education in London and falls in love with the academic and moves in. Her twin sister meets an English writer, Richard, who decides to stay in the country despite the warnings from his friends and family. They live comfortable lives until Biafra declares its independence and war with Nigeria breaks out in 1967. Then they have to flee. This is such an amazing book. 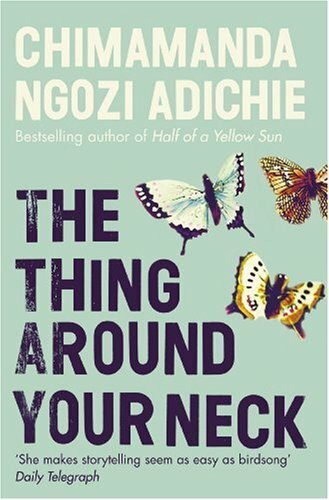 Adichie manages to capture both the good intentions of the people in charge and the horrible outcomes. It also captures the mix between traditional indigenous life and modern life. My favourite part was the small book within the book that told the facts about the Biafrans fight for independence. And I really liked that I never had to feel sorry for the characters.